Up until a few months ago, I was anti all things Apple related…including the infamous iPhone. For those of you that buy into the Apple lifestyle, I’m sure you’re shaking your head at me right now. I just didn’t get it. Then, in April, the company I worked for upgraded our phones to the latest and greatest iPhone 4S (well it was the latest and greatest). I thought it was pretty cool but still didn’t get all the hype…until I went into labor. All of a sudden, this simple phone became my lifeline. No longer did I care if I had my big DSLR to capture the perfect photo – I just wanted to capture the moment…even if that moment wasn’t completely perfect. More recently, I’ve decided that I’m not only capable of capturing a moment, but capturing brilliant moments. In fact, with the help of a few photo app purchases, I can do nearly everything I would be doing with my computer. Considering that I’m usually operating one-handed, I’ve become quite addicted. So, I guess you could say that I’m officially joining the millions before me who fell in love with their iPhone. Only took a couple of hours in labor to convert me. She is totally adorable, Ashley! I’m anti-Apple myself, but totally addicted to my non-Apple smart phone for a long time already. Couldn’t do without that lifeline! iPhoneography is TOTALLY addicting. Great shots and your babe is so adorable! Darling baby girl! Great post. 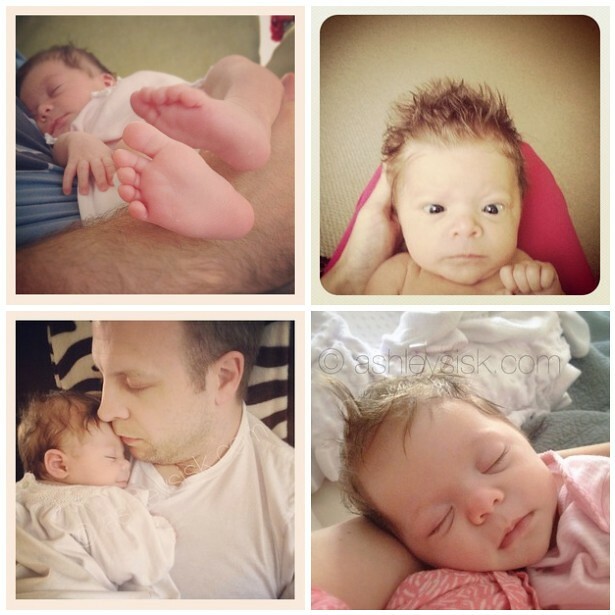 Such a precious baby and such gorgeous photos of her. hahaha ‘ONLY a couple hours of labor’?! This I can relate. 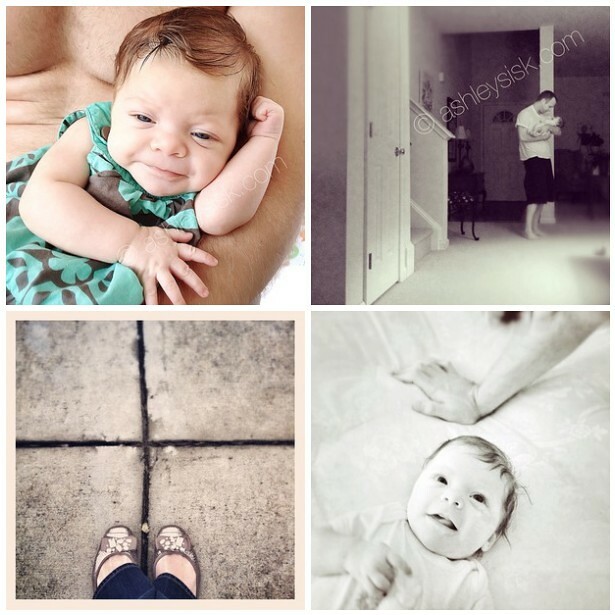 It wasn’t until I was in the hospital after I had my daughter that I fell in love with using my camera phone. Now only having one hand to do many tasks, I find myself using my phone to capture our everyday instead of my big camera. Congrats Ashley your daughter is adorable.